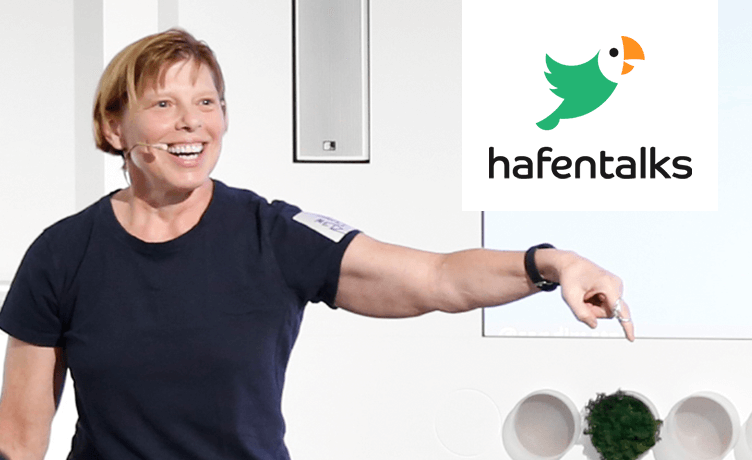 hafentalks #7: Sandi Metz - "Go Ahead, Make a Mess"
Nimm Dir einen Drink, lass Dich von unseren Küchenchefs kulinarisch verwöhnen und lerne die anderen Teilnehmer kennen. Du möchtest unser Headquarter sehen und wissen, wie und wo wir so arbeiten? Mach eine Tour mit und lass Dir alles zeigen. Software is always a mess. You can’t avoid this mess, and if hubris goads you into attempting to achieve perfection, you’ll just make things worse. Perfection is a distant, dim land on the unreachable horizon. You’ll not be going there today. What you can do, however, is use the techniques of object-oriented design (OOD) to make your messes manageable. OOD is good at messes. It understands their origins, predicts their courses, and foresees their outcomes. It shines a light down the dusty nooks and crannies of your app, showing you what to do and what to avoid. This talk shows you how to use OOD to create the best kinds of messes, those that let you get software out the door today without regretting your actions tomorrow. Du hast noch Fragen an Sandi? Keine Scheu, bei uns soll keine Frage offen bleiben. Wo ein Anfang ist, muss auch ein Ende sein. Du hattest einen tollen Abend? Hoffentlich sehen wir uns bei den nächsten hafentalks wieder. Sandi Metz, author of Practical Object-Oriented Design in Ruby and 99 Bottles of OOP, believes in simple code and straightforward explanations. She prefers working software, practical solutions and lengthy bicycle trips (not necessarily in that order) and writes, consults, and teaches about object-oriented design. She is a Cyclist, Rubyist, reluctant author, obsessive programmer, recalcitrant blogger and the antidote for ambition.